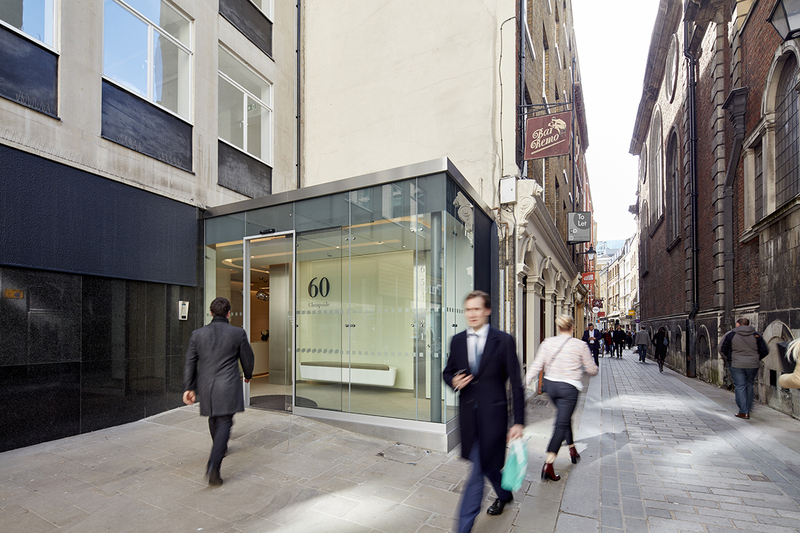 60 Cheapside presented a familiar problem that is common with many London properties. Firstly the 1960’s plan combined two buildings of different levels around a very compact core. 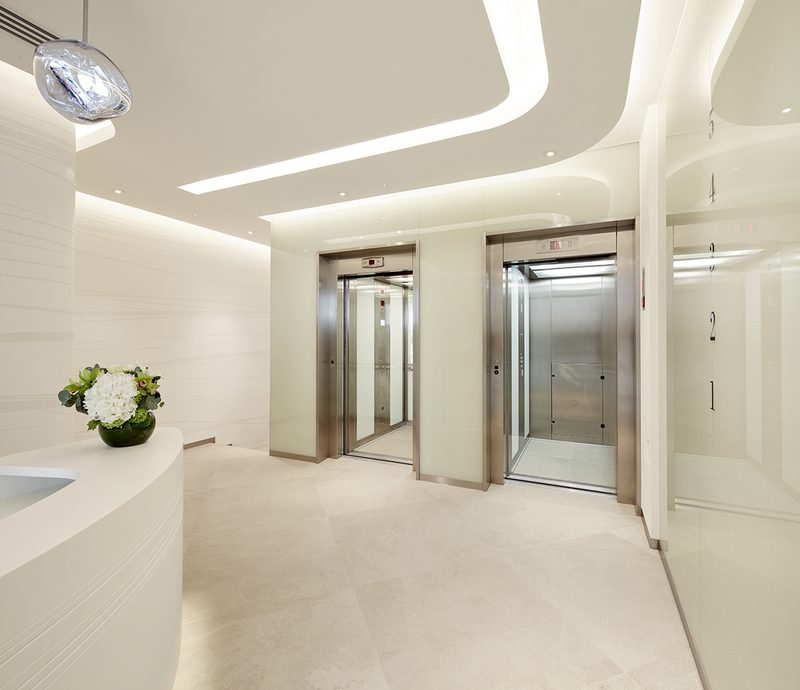 The resulting impact at ground floor level was a reception space not visible from the street. This was further challenged in that the entrance is set back from the thriving Cheapside. 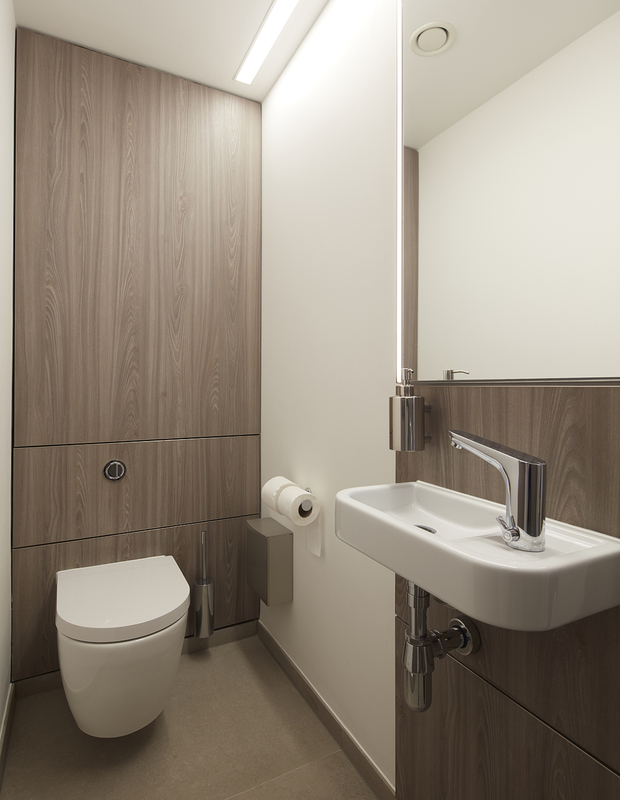 Our brief extended from the Reception and common circulation areas through to WC’s, showers and navigation signage. On entering the building through the newly formed glazed extension, the facing wall announces the building’s identity and a list of its occupants. 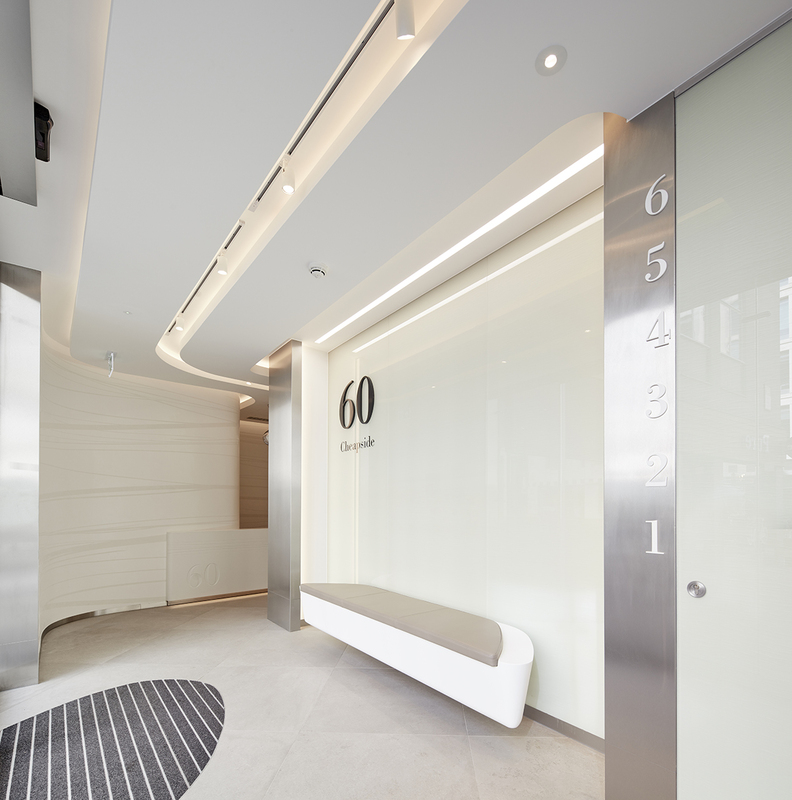 A welcoming Corian and leather topped bench is cantilevered off the the glass clad wall, to give a greater sense of space. To assist the navigation to the Porter’s desk the ceiling and lighting feature purposefully leads you through at right angles to the point of entry. 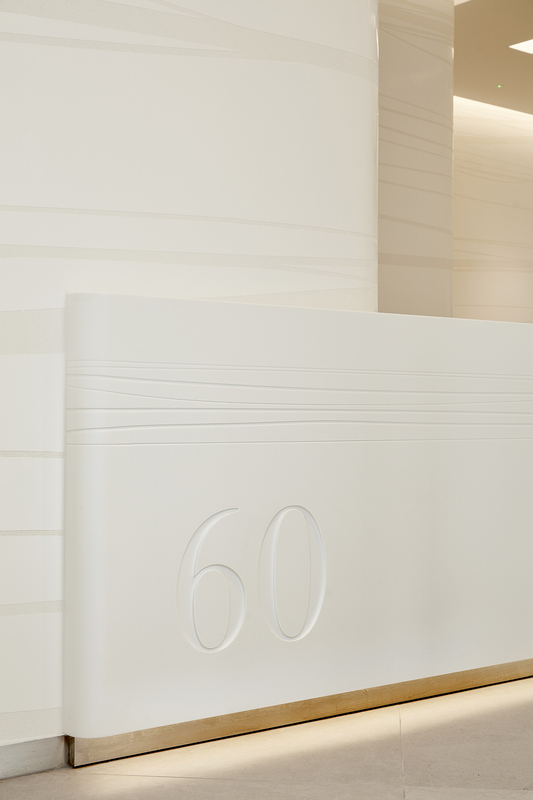 Large format porcelain tiles set at 45deg also provide a natural direction through to the Porter’s desk and lifts. 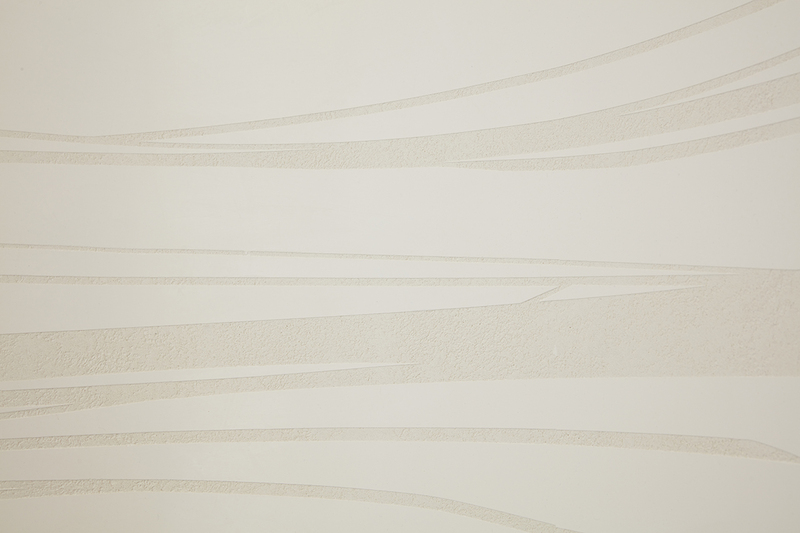 The facing glass wall combines a woven fabric interlayer laid horizontally providing further ‘directional’ flow. It’s subtle reflective face gives greater depth to the space. 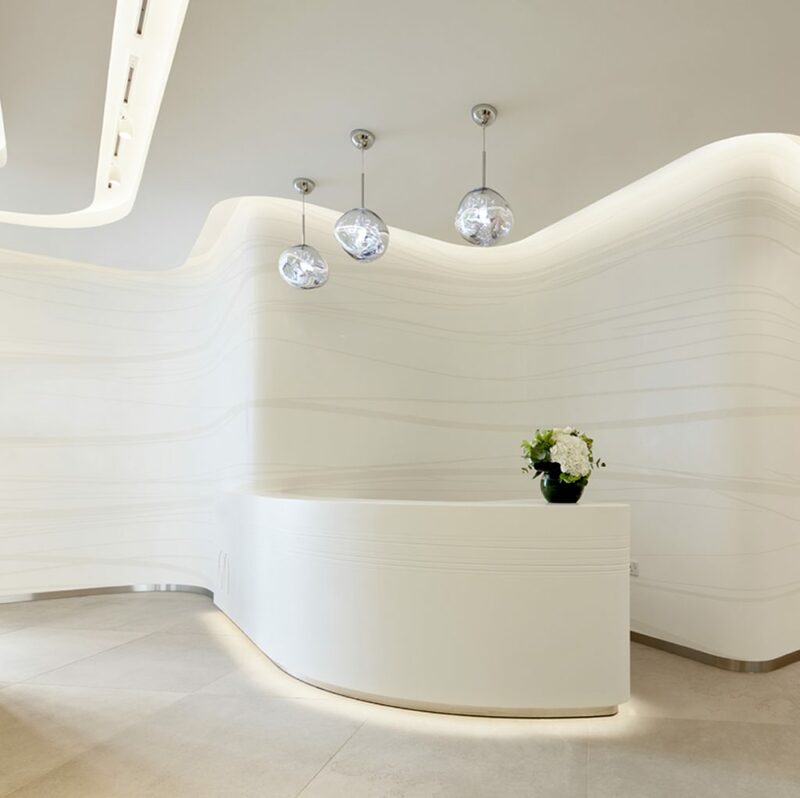 The facing left hand wall is finished in a bespoke patterned two tone white polished plaster which also reflects the threaded flowing lines, following around soft corners to the Corian desk and beyond. 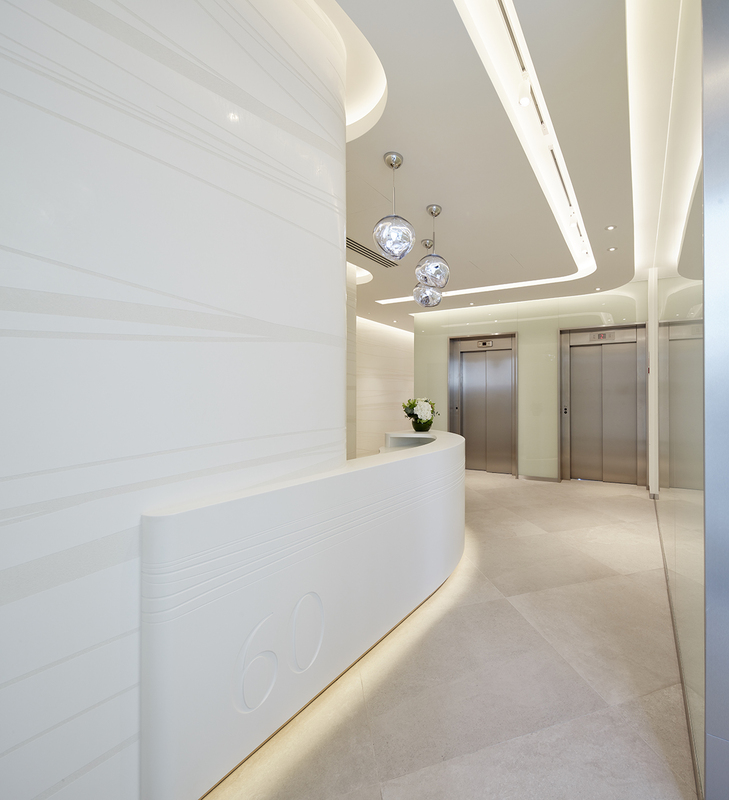 The Lighting combines both soft concealed washes onto the glass and polished plaster, along with pools of highlights that are provided by high level spots. 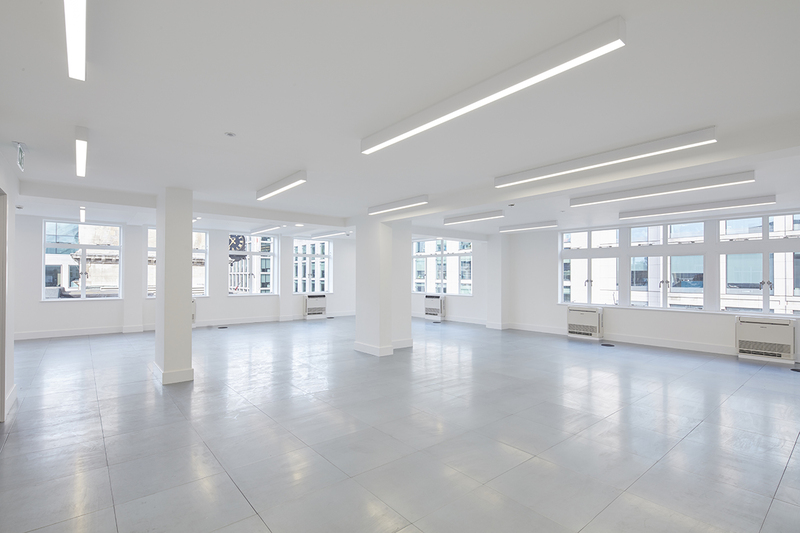 This presents an adequately bright yet intimate and ‘special’ reception space.